Stoves are absolutely one of the most important things in the kitchen. They help to define the look of kitchens in any era. 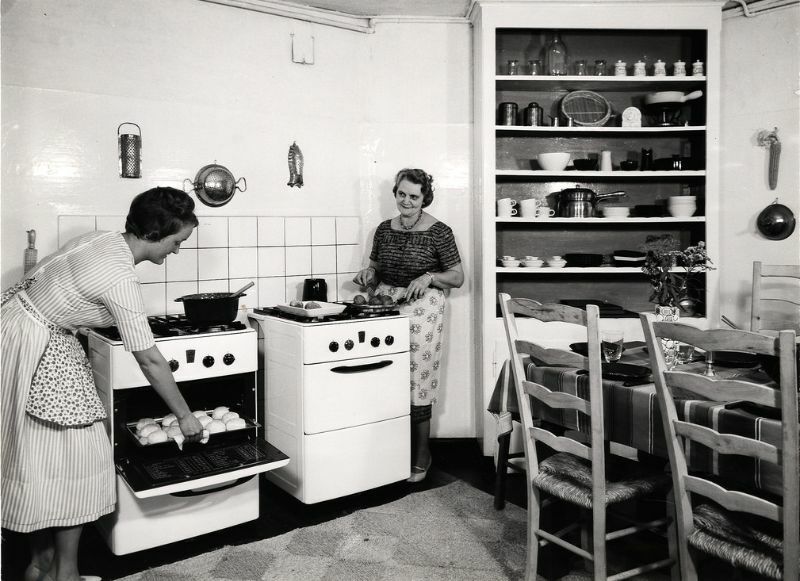 What did stoves from the 1950s look like? 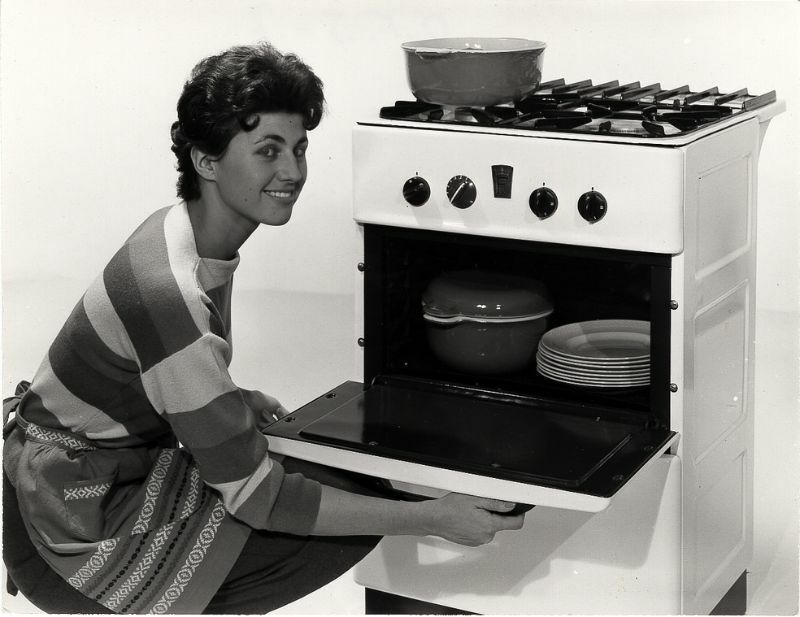 Check out these advertising pics to see women with gas and electric stoves in the 1950s.